A Christmas tree is the ultimate symbol of Christmas for us all. As I thought about the tree and its history, I did a little research. 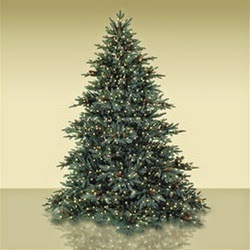 Go HERE for a very informative and interesting history of why we have Christmas trees. 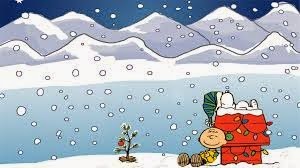 Charlie Brown had a tree that was a wonderful example of what the Christmas tree is really all about. The beauty of the tree is in the eye of the beholder. Somehow we have lost the importance of the beauty in simplicity--more concerned with an extravagant and glorious display of our decorating prowess and need to best the Joneses--we have forgotten the joy in decorating with a child who puts all the ornaments in a one foot radius two feet off the floor. I smile and chuckle remembering those Charlie Brown trees. During my childhood, my mother---who ALWAYS wanted to be on the cutting edge and NEVER follow the crowd-insisted we have a stick tree. We cut a winged elm huge branch and painted it white or gold. Glass balls were then hung from the branches and a spotlight shone on it causing a beautiful reflection. Lovely--but all I wanted my entire childhood was a green tree with colored lights and traditional ornaments. As an adult, we began our own family tradition of going to the Christmas tree farm and selecting and cutting down a tree. It was a nightmare for my family as I insisted upon looking at every tree before making my final selection. Always on a quest for the perfect tree, Mother Nature does not cater to my need for perfection. I always picked a tree which was too tall--and when cut to fit--it was sadly thinned out and not so lovely. But the wonderful smell of those live trees was well worth the slight inconvenience of my obsessiveness. I have fond memories of searching for that perfect tree with kids in tow. The day finally arrived when there was no one left to go with me to the tree farm. 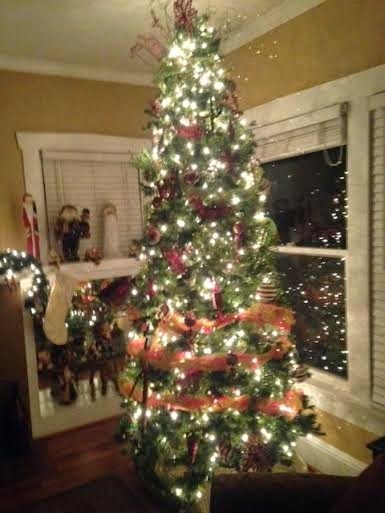 It was no fun going alone---so I gave up and bought an artificial tree. 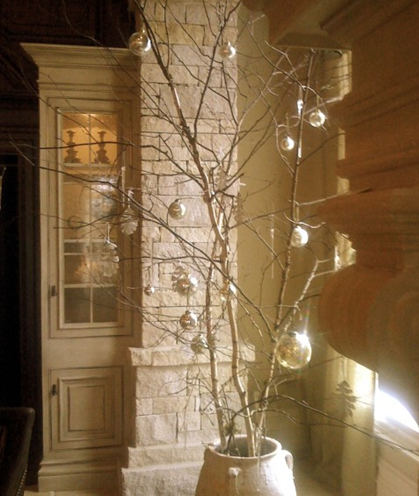 To compensate for my despair of no more tree hunt--I had a tree in every room. Perhaps a slight overkill? Today I am back to one tree--although the urge for others is almost unbearable--I am strong and stick to the one tree. While tutoring at the shelter, I asked one of my students if they had a tree in their room. She looked down and barely whispered, "We have no tree." Oh yes, there is a communal tree in the lobby--lovely--there is a tree in the tutoring room--beautiful, but their family has no tree. We get carried away during the Advent season and loose sight of what is truly important. In the whirl of activity, we forget those who have no tree. Something tells me this is not how Christmas should look. Perhaps there is going to be a big "lighting" celebration? You know you not in school at the moment and it is permissable to sleep in a little! I always did love Charlie's little tree ... so spare and real and compelling. Yes, Linda, the beauty is in the eye of the beholder! Blessings this weekend to you as well, Friend!